Small balls of fluff – known as pilling – may form on your tops as a result of wear. Not to worry! Pilling is a common problem and getting rid of it is easier than you think. A pilling remover and some patience. 1. Lay the garment flat on a horizontal surface. 2. Stretch the area to be treated. 3. 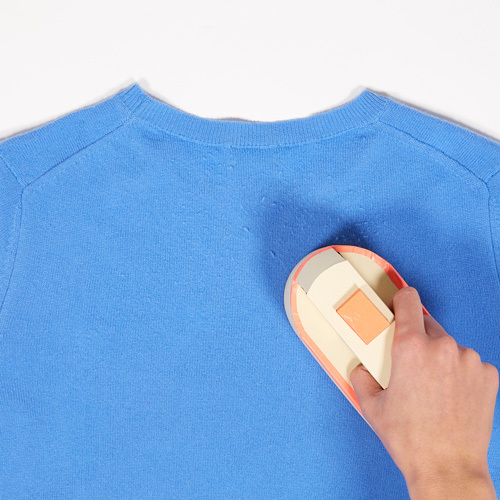 Place the pilling remover onto the garment. 4. Using a circular motion, gently glide it over the areas affected by pilling. 5. Repeat until all pilling has been removed.